Ryan is one of Go’s industrial energy experts and a critical part of our team when analyzing industrial energy using systems during energy audits and measurement & verification (M&V) projects. Before joining our team, Ryan graduated from University of Dayton in 2015 and 2017 with his BS and MS in mechanical engineering. During his graduate studies, he performed over 35 industrial energy audits with the UD Industrial Assessment center. He also completed “Compressed Air Challenge” Level 2 training and has published about sustainable manufacturing. Ryan’s technical, investigatory, and communication skills are integral to our work with the Ohio Manufacturers’ Association. He helps members make energy-related decisions and provides subject matter expertise to OMA staff and members regarding energy regulations and policy concerning customer-sited resources and energy technologies. Ryan also co-organizes the OMA’s Sustainability Peer Network (SPN), a forum for manufacturers to candidly and transparently discuss energy and sustainability-related efforts in their companies and the state. 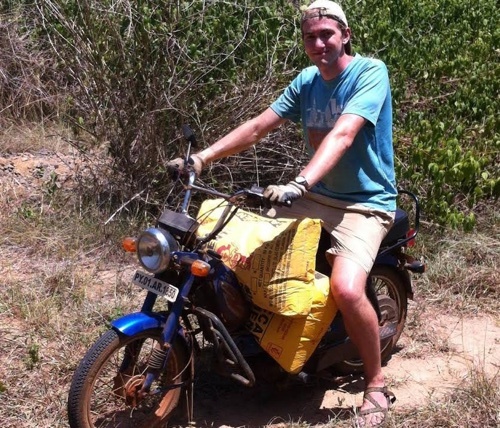 Ryan’s passion for sustainability led him to spend time abroad with the UD ETHOS program where he worked with wind turbine installations in India and cook-stoves in Ghana. He followed John Seryak and Greg Raffio’s footsteps as president of the UD Sustainability Club and also helped UD to develop the Hanley Sustainability Institute. Ryan is our “fun boss” and arranges company activities like dinners, board game playing, hikes, and tours of nearby farms! In his outdoor free time, he plays ultimate Frisbee and hikes. In his indoor free time, he enjoys anime and e-sports.